Ever been to a store and saw something that would be great for your house only to find that the design wasn’t available in the color you needed? One couple figured out a solution to this problem and created a community that has people around the world clambering to it like free food, or in this case, free fabric. Spoonflower is a digital textile printing company founded in 2008 by Stephen and Kim Fraser after Kim was unable to find a specific pattern she needed for curtains for their home. According to the video on Spoonflower’s YouTube channel, Kim approached Stephen and said “It would be really cool if I could design my own fabric for curtains”. Stephen, being supportive of his wife, found a way to make her dreams a reality. 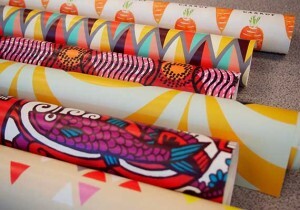 They went on to create a service that allows you —the user—to create and print any wallpaper, fabric, or wrapping paper you want. In addition, they pay designers a portion of the profit they make from the designs, which encourages independent designers. 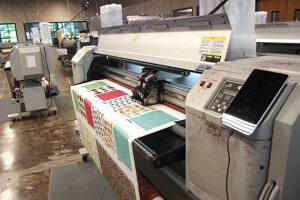 All you have to do is upload an image for the pattern you want, choose to center or repeat it, then have it printed. There are several great things that can be said about Spoonflower. I commend the Frasers’ ability to create something that puts the power of creation back into the buyer’s hands. With that being said, there are several things that should be reevaluated, such as the company’s Terms of Service. Users are allowed to upload any image and claim ownership simply by clicking the box that says, “I own the rights to this image,” but the actual owner of the content has to go through six steps to prove that copyright infringement has occurred. My issue with this is if Spoonflower puts users through the same six steps it puts designers claiming their designs were stolen, there wouldn’t be an issue of ownership. By accepting the images, selling the images, and paying the user that uploaded the images, Spoonflower takes on the role of “owner” but dodges the responsibility of copyright infringement, leaving the user to take the blame. In short, Spoonflower is in many ways like Craigslist. You create an account and produce and sell content at your own risk.